Redgate, Riley. 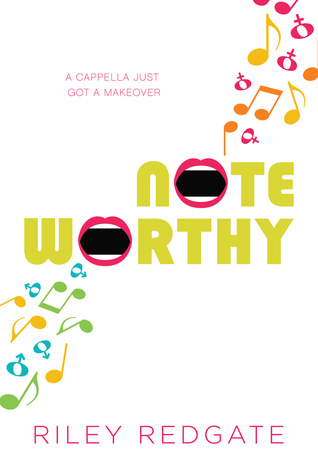 Noteworthy. Amulet Books, 2017. Jordan is a junior at an elite performing arts boarding school, and as someone focusing on theater, she has yet to land a role in any of the school productions. She knows college apps are on the horizon, and she's desperate to make herself stand out from her peers. Thus she poses as a guy and auditions for an a capella group on campus. Jordan then has to lead a double life - she's Jordan in class and while Skyping her parents, but she's Julian when she rehearses with the group. This group seems to be Jordan's only way of guaranteeing that she can stay at this school, if she can keep her secret long enough. What I liked: Jordan's exploration of gender was fantastic. When she is inevitably outed, one of the boys in the group responds with, "Oh, so you're trans?" which I think is also fantastic. Also, yay for lots of diversity! This is a classic boarding school-style story, with pranks and sneaking out at night, etc. etc. What I didn't like: Two picky details, one small, and one large. Small: Jordan is initially outed because she's on a retreat with the guys and someone bumps into her as she exits the bathroom post-shower. Why oh why did she not just BRING HER CLOTHES INTO THE BATHROOM so she could dress immediately after showering? This just seemed unnecessarily complicated to me. I would never consider walking around some rando's house in a towel - of course my clothes come into the bathroom with me. Now for the large detail: Jordan is from San Francisco, but the author may possibly have not been to San Francisco ever or just chose this location because Jordan is Asian. Jordan mentions having an air conditioner; in fact, part of her family's money struggles comes from having to repair/replace said air conditioner. However, no apartment in San Francisco comes equipped with an air conditioner, nor would anyone waste money on an object that would be used maybe three times per year. Also, Jordan's dad supposedly works at a gas station, but there are only 17 gas stations in the entire city of San Francisco (don't believe me? Google map it.). His gas station salary, combined with Jordan's mom's part-time work, supposedly pays for their rent and Jordan's school fees, in addition to food, health care, electricity, etc. etc. The average rent in SF for a one bedroom apartment (assuming Jordan has to sleep in the living room) is $3500 a month as of 2015, so we can assume closer to $4K now. There is simply no way that Jordan's parents can afford to live in San Francisco in anything bigger than a shared studio apartment. Supposedly her family is really poor and that's why she's on a scholarship and when their rent goes up she's going to have to leave school. Unless her family is actually living in the East Bay, like in Oakland or San Leandro, there's simply no way they could afford to live there. I know this because my spouse and I attempted to live in the suburbs of SF for three years, and even two salaried masters degreed full time employed humans couldn't afford an apartment there. Bottom line: Yay for gender discussions and an overall good story. Boo for the San Francisco details being WAY off and Jordan's weird Imma-walk-naked-thru-a-house-full-of-dudes shower routine. I'd still hand this book to any teen in my library. 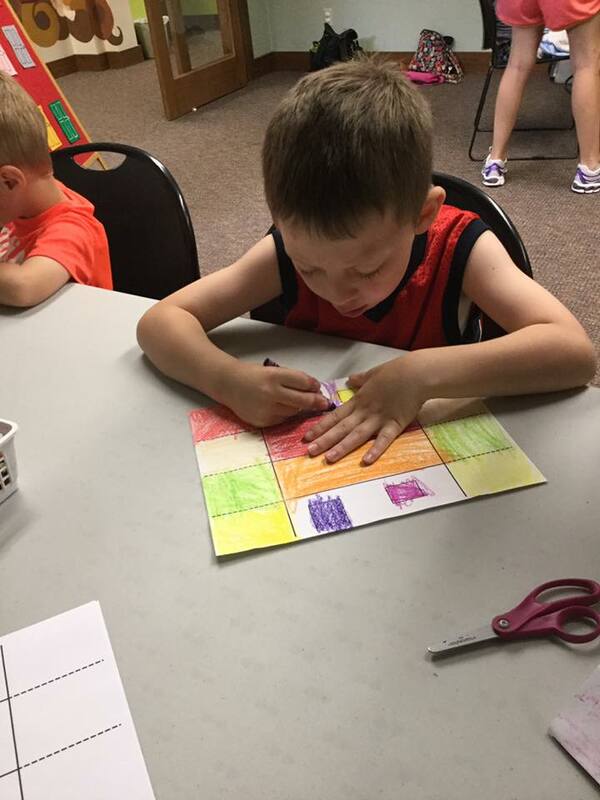 My final "building" themed storytime for the summer had to do with forts. We read books about forts, then I brought out two giant cardboard boxes that I had available for kids to color on or play in or read in as their own forts. Rhyme: Dinosaur, Dinosaur, Are You Behind the [Color] Door? Ormsbee, Kathryn. Tash Hearts Tolstoy. Simon & Schuster, 2017. Tash is a vlogger, and when her web series Unhappy Families goes viral, it's all she can do to keep up with the pressure. She wants to keep her cast happy as well as her fans. When the vlog is nominated for a Golden Tuba, Tash nearly buckles under the stress. She is also concerned about meeting a crush IRL at the Golden Tuba awards. How will she explain to him that she likes him, but that she's a romantic asexual? There were lots of things to like about this book. The YouTube/vlog connection will obviously appeal to my teen patrons. The diverse cast - including an asexual character - is wonderful. Tash is not a completely likable character, but she gets called on it near the end of the book, and that's good. There is no magical Disney-esque ending. 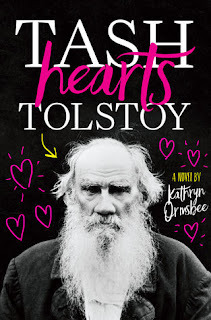 I will definitely be book-talking this title with my teen patrons. Our craft today was actually a science experiment. I gave each child a sheet of aluminum foil as well as a variety of craft supplies: craft sticks, crayons, string, pipe cleaners, straws, etc. They were to construct a boat that would float when we put it in water. For an extra challenge, I had a bag of pennies to use as "passengers" on our boats. If their boat floated, we added passengers to see how many it would hold before it sank. This is a great project to demonstrate to parents that science learning can be simple and is something they can do in their homes with supplies they probably already have on hand. Kids were encouraged to make multiple versions of their boat as well, and most of them chose to take them home at the end of storytime. Nowinski, Hannah. Meg & Linus. Swoon Reads, 2017. Meg and Linus are best friends, sharing a love of Star Trek and all things nerdy. 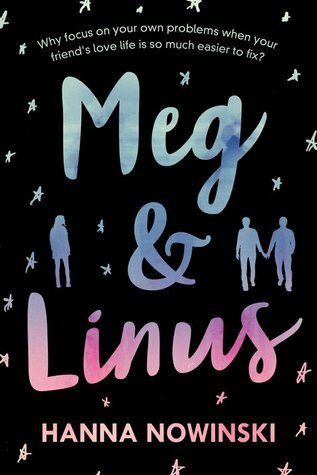 Meg's girlfriend breaks up with her at the start of Meg's senior year, and Linus finds a new guy at school that he's crushing on. As Meg tries to help Linus kindle the romance, she finds things become more complicated. Perhaps her ex-girlfriend isn't as ex as she thought. I really wanted to like this book. Two LGBT main characters, Star Trek, what more could I ask for? A plot, apparently. There really wasn't one. This works well as a slice of life novel, which is awesome if that's your thing. Also, if you want to write a book with two different narrators, you need to make their voices very distinct. I shouldn't have to double check the beginning of a chapter to remind myself who is speaking, but I found myself doing that frequently throughout this book because it just wasn't as clear as it should be. Craft: We made clothespin frogs. You can find the original file via Google, but basically I took a frog picture, changed it to a coloring page, then put a line down the middle so it could be cut in half. 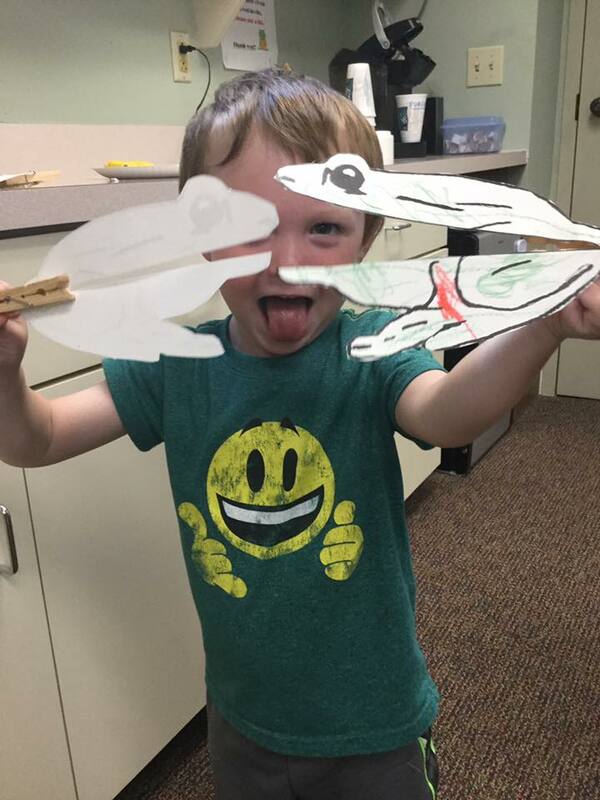 We colored them, cut them out, then glued them to a clothespin. 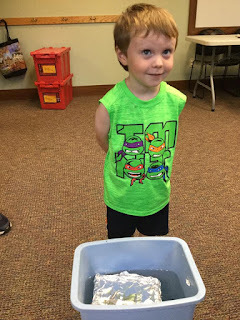 This is a great activity for small motor control for preschoolers! 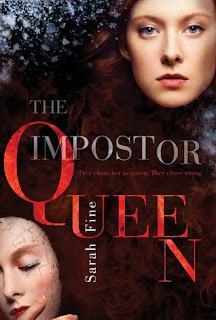 Fine, Sarah, The Impostor Queen. Margaret K. McElderry Books, 2016. Elli is next in line to be queen - to wield equally the power of fire and of ice. She was chosen the day the current queen ascended the throne, and has been trained her whole life for this position. However, when the queen dies and Elli takes her place, she does not receive control of the magic the way she is supposed to. Fearing for her life, Elli is forced to flee to the outside, where she learns for the first time what the kingdom and the queen look like to those who have been banished. I read this entire book in one sitting, which is an extremely rare thing for me. I loved the character development, the world-building, the unique twist on a standard fantasy story, I thought this book was well-paced, as I enjoy both page-turning sections of intense action and more moderately paced world-building sections in stories. And as I said, I read it all in one sitting. It is a very rare book that makes me stop everything else just to finish it. With the "Build a Better World" theme this summer, I thought it important to do at least one storytime on building. We read all about houses and completed a house craft that I had used early for a Three Little Pigs storytime. The house we made for storytime was very simple. It's just a piece of paper with lines to divide it in fourths both ways. When kids were done coloring, we cut the outside flaps and taped them together to make the sides of the roof. The best part about this craft is that it is easy for parents and caregivers to replicate when they go home, so they could make an entire village if they want to.